The Butler County Visitors Bureau is dedicated to creating exceptional tourism experiences for visitors throughout Butler County. Established in 2007, the BCVB helps promote the county&apos;s unique destinations through small meetings, conferences, conventions, tourist events, and attractions. They were honored with four "MIDDY" awards for excellence by the Ohio Association of Convention and Visitor Bureaus (OACVB). •	Creative Advertising Series - "Become just about anything overnight"
We had the pleasure of working with the BCVB to create a new website. Read about the BCVB website development, and more about the BCVB wins. 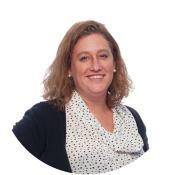 Tracy Crouthamel is an Account Manager for Simpleview. When Tracy joined Simpleview, she brought with her 20 years of PR and marketing experience, mostly with large, multinational corporations. Today, she manages numerous accounts, providing outstanding customer service and ensuring timely deliverables.